Almost all dive location in Morotai offers shark’s sighting where most common species to be encountered is Blacktip Reef Shark (Carcharhinus melanopterus). 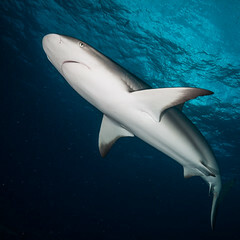 Blacktip Reef Sharks normally shares the same area with Whitetip Reef Shark (Triaenodon obesus) and Grey Reef Shark (Carcharhinus amblyrhynchos) with also accompanied by school of fuseliers, group of surgeon fishes, and sometimes barracudas and tunas. 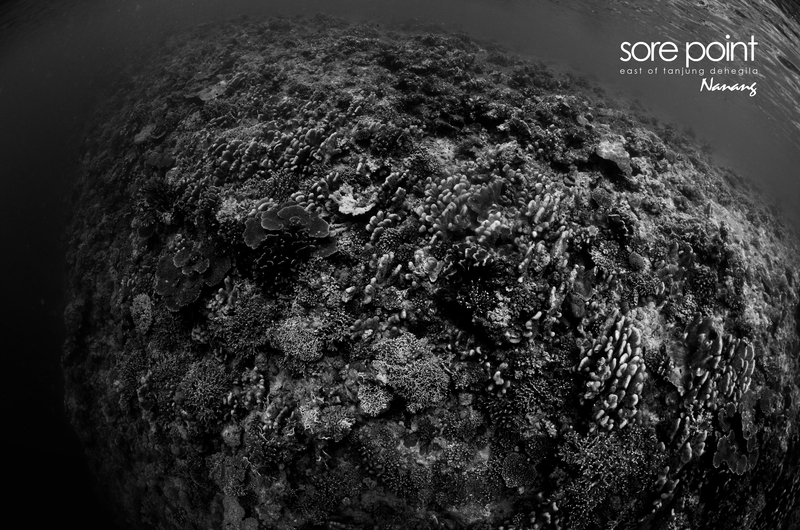 Dive spots that offers more often shark encounter is Terminal Gurango, Blacktip Point, Grey Shark Point, and Rifky Point in Pulau Tabailenge. Our crews and dive guides are trained with the ability to “call” shark, and for special case should wear sharksuit (see the image) for safety reasons. 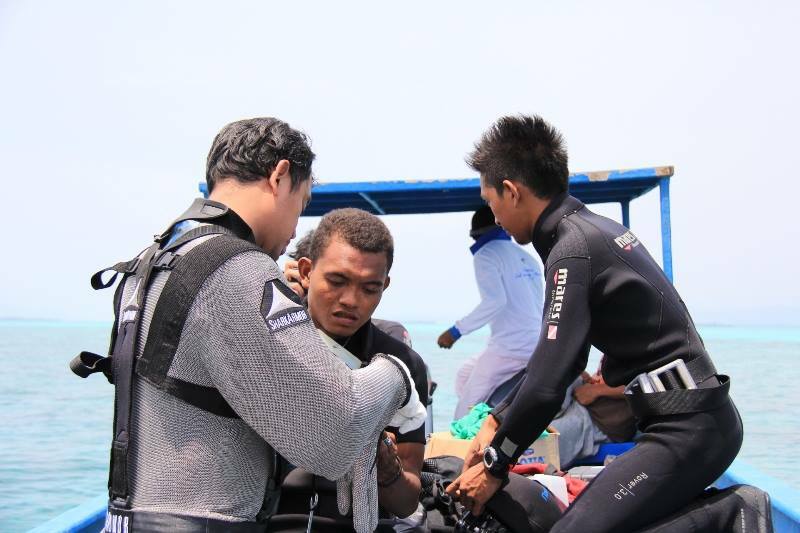 Our shark diving guides have already more than 100 shark dives and certified for at least Rescue Diver level.